Most of us send various files attached with mails and sometimes with messages. While using a computer, we can easily download the zipped file and extract the files provided we have the program to do so. In a smartphone this can be downloaded with the help of browser and can be viewed with the help of downloaded applications in the smartphone. iOS 7 has now come out with such apps and made them available in their store for customers to purchase and use. Some are available at free of cost also. In certain cases these Zip files can be better viewed with the help of Mail application found in iPhones. When you actually receive a Zip file as an attachment along with your email, you are able to look through the files using the Mail Application without leaving it. You are just allowed to open the Zip file and view respective contents in pdf formats or you can view images or word documents or even excel spreadsheets. But this will allow you to just have a view of these files. If you want to extract these files and do some editing, then you will require the help of some additional application. Here the user is not limited to open the file only. This can even open the file and help in taking print the file. You can also transfer the file to Mac or any other iOS device. This method ensures that you don’t need any other application to open Zip files. But this is quite impractical. Every time if you want to open a Zip file you will have to open it in mail or you have to add the file to your mail account. This will be quite irritating too. So there is a need of an extra application that can easily handle these Zip files with all easiness. It is clear that the above option works only for mail attachments. But Zip files are not only found in mails. They get stored also in cloud folder also. These files also need to be opened as per the needs of the user. Here are some applications that are found in App Store that really comes handy here. They are iZip and also the WinZip. They can be used to handle Zip files and do whatever the customer requires like viewing, editing, sharing etc. Both these application looks similar in design as well as in function too. Most interestingly they both can handle Zip files for free. But if you want to perform certain premium functions then you will have to pay for the premium versions of these applications. Of these two applications iZip Pro version will cost you $3.99 and Winzip Full version will cost you $4.99. If you don’t want a paid version then what you have to do is, export the Zip file to iOS device and then use the free version of zip app to manage the file. So if you are using WinZip free version, then click on the zip file from your cloud and then tap on ‘Share’ button. In the ‘Share’ menu you will find the option of ‘Open in..’ and when you select that you can see a list of applications that can manage zip files in your iOS. From there you have to select the free zip application. The file will be opened and can be viewed just as we are viewing an attachment. If you think that this includes many steps in opening a file, you can just buy the full version of either of the zip handling applications. 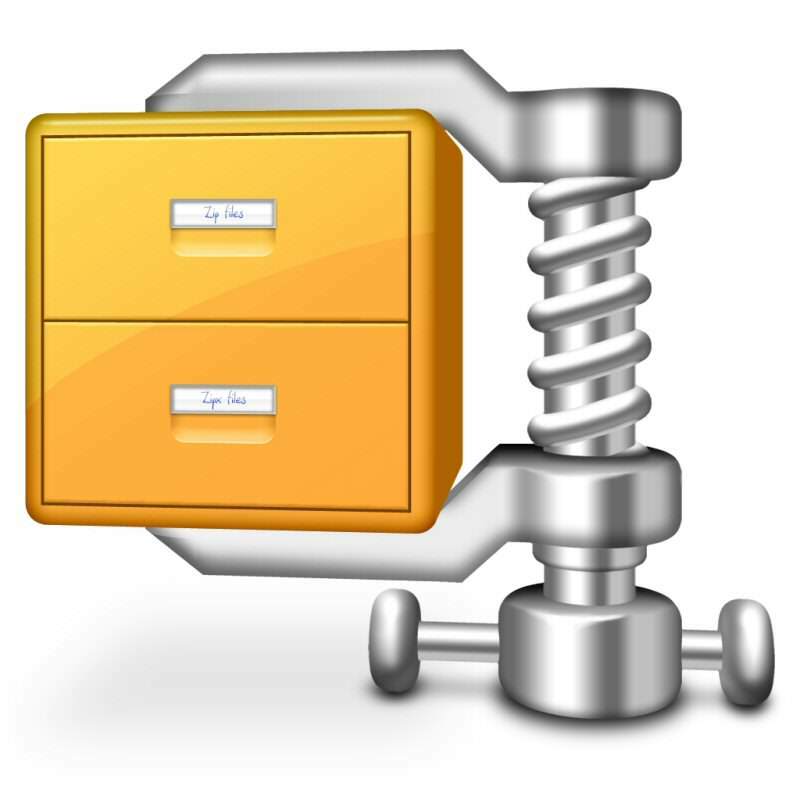 Winzip full version really has much more exciting features. The full version has got support for Dropbox, OneDrive, iCloud and Google Drive. On the other hand iZip Pro has got backing of iCloud, Google Drive and Dropbox. With the help of full version we can just access the zip file right from the Dropbox itself. You may also find other options here. You can just click on the arrow that can be seen next to file and mail it as a link or just copy the link and attach it into a message. It can be used to Airdrop it to another iOS device or Mac. It can also be used to extract a file from the parent folder and can also be used to create a new folder. The problem with all these is that if you want to open the contents even in the extracted files you will need a separate application. In case of images or music files or video files there are inbuilt application in iPhone and iPad specialized in handling these kinds of files. But in case of documents, spreadsheets you will either need MS Office or similar kind of applications specialized in handling files of similar kind. One thing is quite clear. Whether you are using pro version or full version of zip handling applications, they provide you with tools for extracting and viewing contents. When they consist only of images or video files then it will be easy to handle. But when they have any docs or presentations or spreadsheets, these cannot be handled effectively by zip applications. They can be viewed and extracted, but cannot be edited. Unfortunately iOS have no perfect applications so far, which can effectively handle zip files. But with the help of iZip and WinZip, users can extract the contents in a zip file and use them. They can also share the files and use its links too.